By Heck – You Better Check! 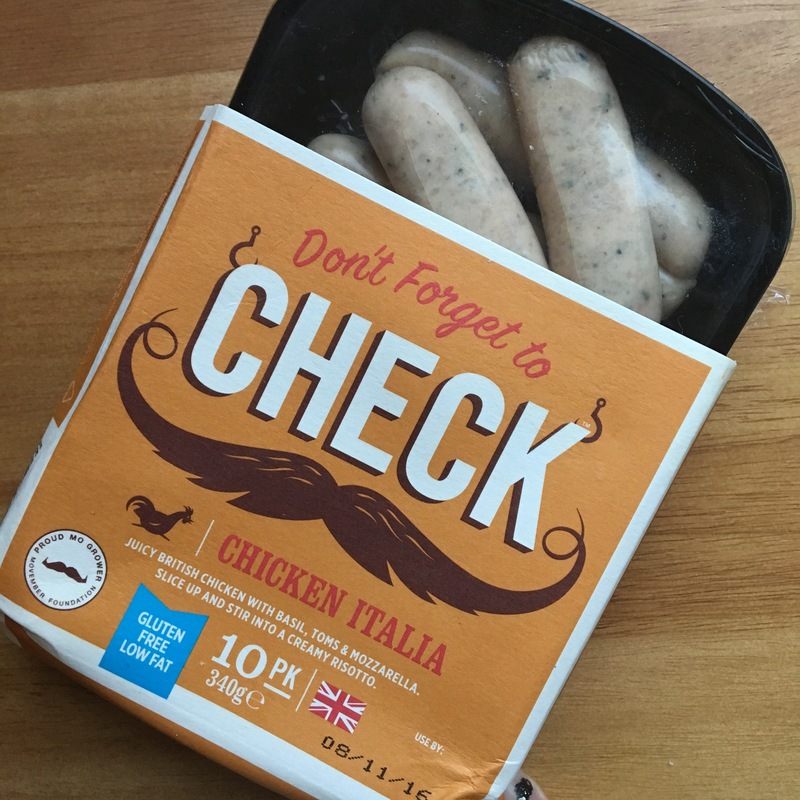 You might have seen Heck sausages in the supermarkets already – and maybe wondered why they’re suddenly called CHECK this month… There’s a good reason for it, I promise! There’s a personal story behind this, too. Jamie Keeble, co-founder of Heck, discovered a lump earlier this year and was able to catch his cancer early. To encourage other men to do the same, Heck is hoping that their name change and fundraising will do the trick and save lives. Saving lives with sausages – yes please! I was only too happy to help out when Heck asked me to post. But what about these sausages? Chicken sausage is a fairly new product to the British market but American readers might be fairly familiar with it thanks to its association with diets and health food. Heck’s blend is rich and hearty and perfect for a tasty low calorie meal. Here’s one of my favourite ways to eat Heck’s chicken sausage – and it’s even got tiny little balls in it, so you’ll definitely remember to CHECK. Right?! This is not a recipe, because it’s so simple! 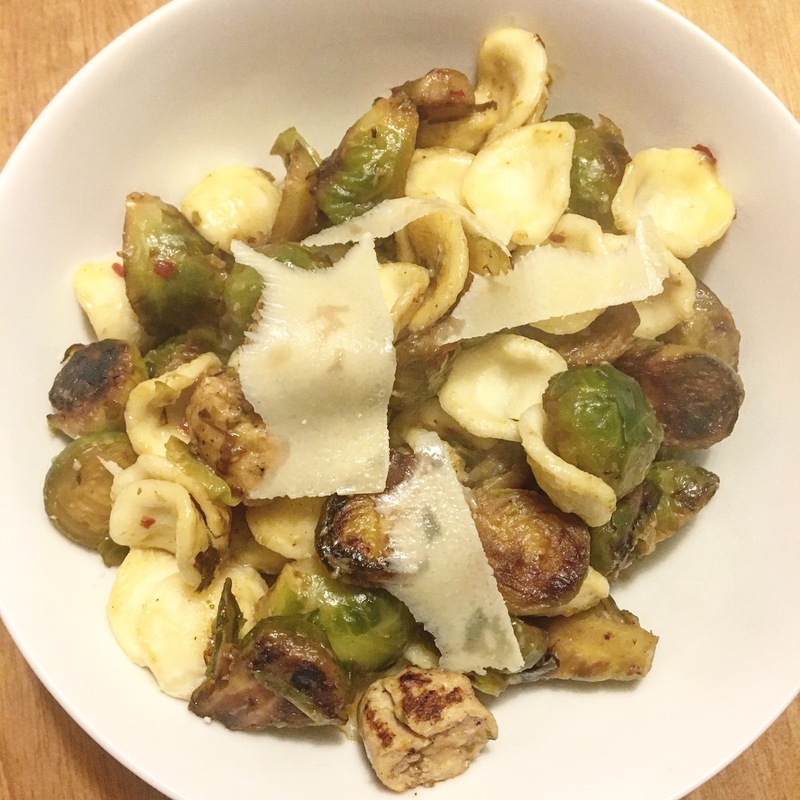 For two people, boil 150g of orecchiette pasta (or whatever shape you have). While that’s going, deskin half a pack of Heck chicken sausages, make into balls, and fry in olive oil. Add halved Brussels sprouts (frozen are best and cook fastest) and fry until its caramelised and brown. Add some garlic if you fancy! Stir in chilli flakes or pesto, and serve topped with Parmesan cheese. I love this dish! Heck’s special Check sausages are available now for £2.99 a pack from Asda, Morrisons, Sainsbury’s, Tesco and Waitrose throughout November. Visit http://www.Movember.com for more about the campaign for men’s health this month.